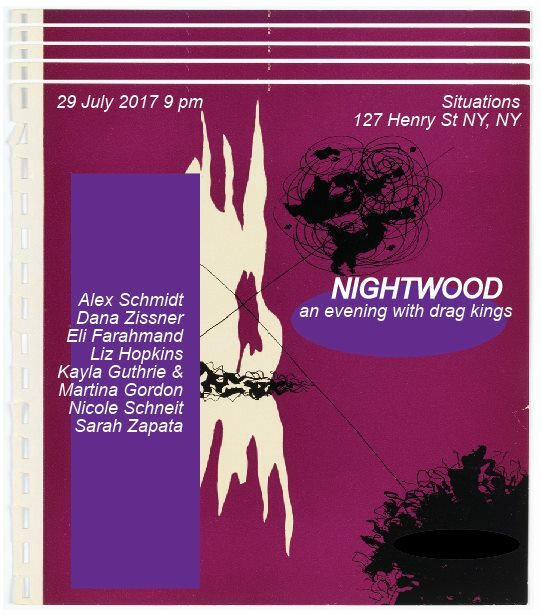 Nightwood: a whimsical, gothic lesbian narrative from 1936, named after the legendary Djuna Barnes novel and to be a double entendre for an evening with drag kings. As a means to stimulate pride in lesbian history and to bring in members of the lesbian and queer community to perform, reclaim masculinity, and engage with peers. The kings will be invited to create their own persona, create an act of singing, stand up, poetry reading, lip syncing, dancing.